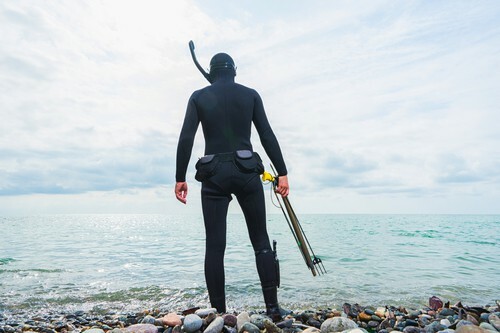 This guide will cover what to look for when you want the best spearfishing snorkel. If you want to be spearfishing without bottles, you need to use a snorkel and a mask. This guide helps you know what to look for, so you can get equipment that suits you. As an spearfisher, you use a snorkel to hover just below the surface of the water and look at the life below in your search for a (big) fish. The snorkel makes it so you don’t have to hold your breath while you look for fish, so you can focus on the hunt itself. A snorkeling set consists of a mask, snorkel, and fins. 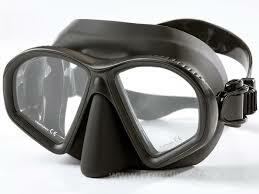 A snorkeling set is also called ABC equipment and is a part of the basic equipment in spearfishing. We have a detailed guide to buying a mask for spearfishing, and we will summarize it briefly here. Your mask must be low-volume, as this makes it easier to equalize the pressure. The sides of your mask should not be transparent, since transparent sides may cause you to get glare from the sun in your eyes as you hover at the surface of the water. It is important that your mask is comfortable, since you need to wear it for extended periods of time. Therefore, select a comfortable material, and you may even want to try a few masks before you choose the one you like. Today most masks are made of a comfortable material, and they mold to the vast majority of faces. Your snorkel should be simple! Soft snorkels (from silicone) have a tendency to bend and close off the air flow when you swim fast. For this reason, they are not recommended. As a rule, you don’t need valves, wave breakers, etc. Snorkels with special contraptions at the top for keeping out the water or preventing it from splashing in make it harder to breath and empty the snorkel for water. A tube with a mouthpiece is really all you need. Keep your snorkel simple stupid! (KYSSS) – Don’t make your snorkel too complicated. It is basically a tube you breathe through. The best you can do for yourself is to learn to empty your snorkel properly, then you will have no problems settling for a simple snorkel. There are many places where you can find snorkels in packaged sets, where you get a mask, fins, and a snorkel. Be quality-conscious when you buy. Right off the bat, I wouldn’t recommend buying a packaged set, since as an spearfisher, you would want equipment of superior quality when it comes to a mask and flippers. The vast majority of packaged solutions would not cover your needs as far as the mask and flippers, unless they are meant for spearfishing. 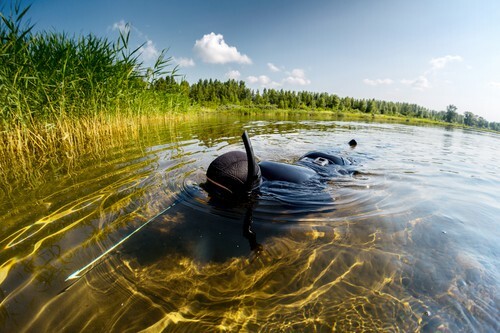 We have written two guides that explain what to look for when you buy a mask and flippers for spearfishing. If you just need a snorkel set to use on your vacation, then buy it before you leave. Many shops at various tourist destinations will try to foist all kinds of things on snorkeling tourists.